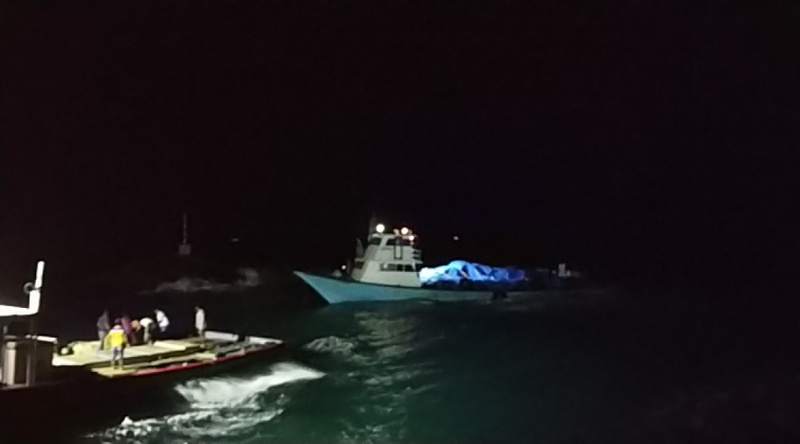 The cargo boat that crashed on the outer sea wall of Noonu Manadhoo has been rescued. President of the Manadhoo Island Council, Mohamed Umaru, told Sun Media tonight that it was past 9 p.m. when the vessel was towed to the wharf by other cargo vessels. He said that the vessel had cement for Soneva Jani resort and it has now been unloaded to the island without damage. The Council President said that the engine of the vessel took in water during the incident and a pump is being used to drain the water.